A dental crown is a type of all-ceramic crown which is worn by any individual having teeth problems to improve the appearance of their tooth. Dental crowns serve as a way of restoring the tooth that has become disfigured or stained over time. Dr. Lal Thanga's dental office is always ready to offer you effective, long lasting ways to restore the complete glory of your teeth. 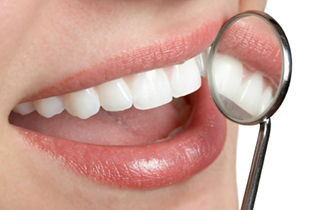 For your Dental Crowns in Duarte, Dr. Lal Thanga's dental office remains the ideal option. Our crowns are easy to way, strong highly durable, and long lasting. These types of crowns completely match your teeth’s color for a concealed appearance. Even if you are allergic to metal, ceramic or porcelain crowns are the ideal option for you. They look stunning for the front part of your teeth. This involves a perfect combination of porcelain and metal. These type of dental crowns are highly durable. They will also match the same color of your teeth perfectly. Although, it is possible that they appear as dark lines around your tooth. You will definitely admire them. In case you are looking sacrifice aesthetic appearance for durability, an all metal dental crown is the best option for you. However, the color will be different from that of your teeth. At Dr. Lal Thanga's dental office, we offer you the best dental crown services that can help restore your smile. Our dental crowns in Duarte can be used to finish off other procedures like dental implants, or as a replacement for tooth decay. All our services are carried out to help restore the form and function to your tooth. They are highly affordable, we are always ready to tailor our services to your needs and budgets. Give us a call today on 661-254-5200. Our team of reliable dental experts are always available to provide appropriate answers to all your inquiries.